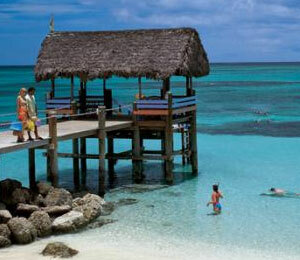 Are you wondering if fins are necessary during your snorkeling Bahamas trip? While it is true that snorkeling can be done without fins, the drastic difference between snorkeling with fins and without is well worth the extra floppy pair of shoes. Fins come in a variety of shapes and sizes, so if you have tried them before and found that they just did not quite work for you, there is always another pair to try until you find your perfect set for your tastes and comfort. So, why exactly are fins so important while snorkeling? Think about the average swimmer. Imagine how far and how fast you can go in two, maybe three minutes. Now imagine that you could triple, quadruple even, that distance. You can see more life, more beauties of the vast ocean, rather than stay confined to typical human speeds. There are different sizes of fins to try out as well. Larger fins are fantastic because they give you the chance to travel farther and faster, but they do require a bit more exertion per kick to get you going. If you are looking for some light exercise and a huge tour of the ocean, large fins are the way to go. Smaller fins allow for easier kicking with less energy required, but they do not allow for the same amount of distance per kick. 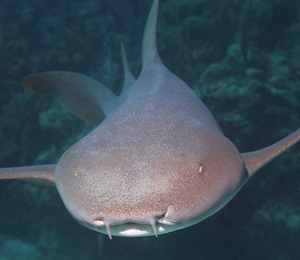 Smaller sized fins are best for relaxation within the ocean's depths. Fins also come in open toed or closed toed options. These different options do not affect distance or power, only comfort level. 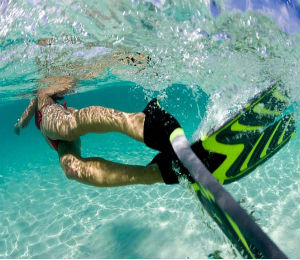 Many snorkelers find closed toed fins to be uncomfortable and prefer open toed so that their feet can breathe and feel the ocean water. Check with your guide to see if open toed fins are safe for your area of diving, as they may not be recommended in an area with higher rocks. To make sure to get the best comfort out of your fins, do not forget the snorkeling "booties" for added protection and padding in closed toed fins. These booties are typically made of a neoprene foam, made to look almost like a sock, that cushions every area of your foot for optimum comfort. Diving with fins is the absolute best way to get the most out of your trip and see the most that the ocean has to offer. With all of the options available, there is a fin out there for everyone and every occasion, so find your perfect pair of fins before your next trip. Come out, see for yourself the difference that fins can make. 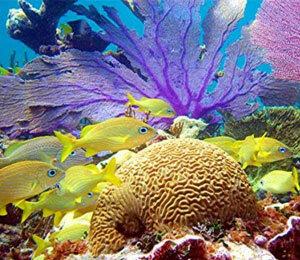 Take advantage of the snorkeling Bahamas has to offer, and do not forget your fins to make this trip the best you have ever had!